LinkedIn is a professional networking site with 300,000,000 users. It is useful for businesses to build connections, land deals, post jobs and find candidates. First, you register and then fill out your profile in as much detail as possible. Your profile can also be used as a resume. Next, add connections. You can ask and answer questions in your area of expertise. LinkedIn answers are a great way to find more connections and meet more people in your industry. You can also endorse people with recommendations and join groups. But, keep in mind that you only get as much as you put into LinkedIn. LinkedIn is easy to understand. It presents itself as the social network for businesspeople. It allows people and businesses to network with great efficiency. As such, it attracts professionals. LinkedIn membership includes executives from companies listed on the Fortune 500. LinkedIn provides a trustworthy hiring platform. Businesses and potential employees are able to see established profiles that let both parties know the job posting and applicant are real. LinkedIn also has its own analytics system which shows you page views, unique visitors and other useful metrics. LinkedIn has made improvements to its mobile application. It is trying to attract users who are increasingly turning to their smartphone over desktop computers. The app, called Voyager, which is designed for Android and iOS users, aims to streamline the mobile experience by simplifying it. You can set up a business page and a personal page. LinkedIn has introduced a platform called Pulse. LinkedIn Pulse allows users to post blogs that are targeted towards people in their industry. LinkedIn Pulse categorizes your content and shares it with people it thinks will be interested in it. Since LinkedIn is a highly trafficked website, Google is more likely to index the content you add there than the content you put on your personal blog. 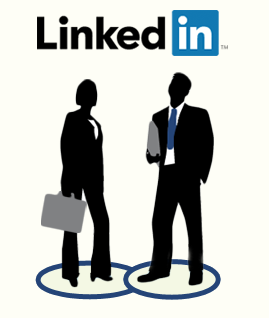 Publishing a LinkedIn Pulse post is easy. Simply log in to your LinkedIn account and click the pencil icon in the 'share an update' box. Creating a new post allows you to upload text, images and embed videos at the touch of a button. Total number of users and minutes spent on the site fall far below the same stats on Facebook. LinkedIn calls for an investment in time. The user must keep profile information up to date, such as contact information and work history. Active participation in groups builds credibility. This means consistently following the threads in the group and not just stopping by once every six months. LinkedIn runs a multi-tier membership program. A basic membership allows members to run limited types of searches on other users, as well as maintain a profile and directly contact members within the user's network. To gain access to the more advanced features, the user must pay a monthly fee.